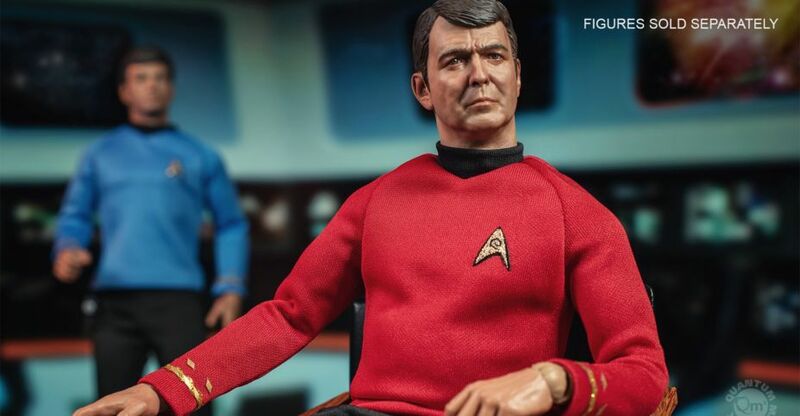 Quantum Mechanix has released images and details for the next figure in their stellar Star Trek line up. 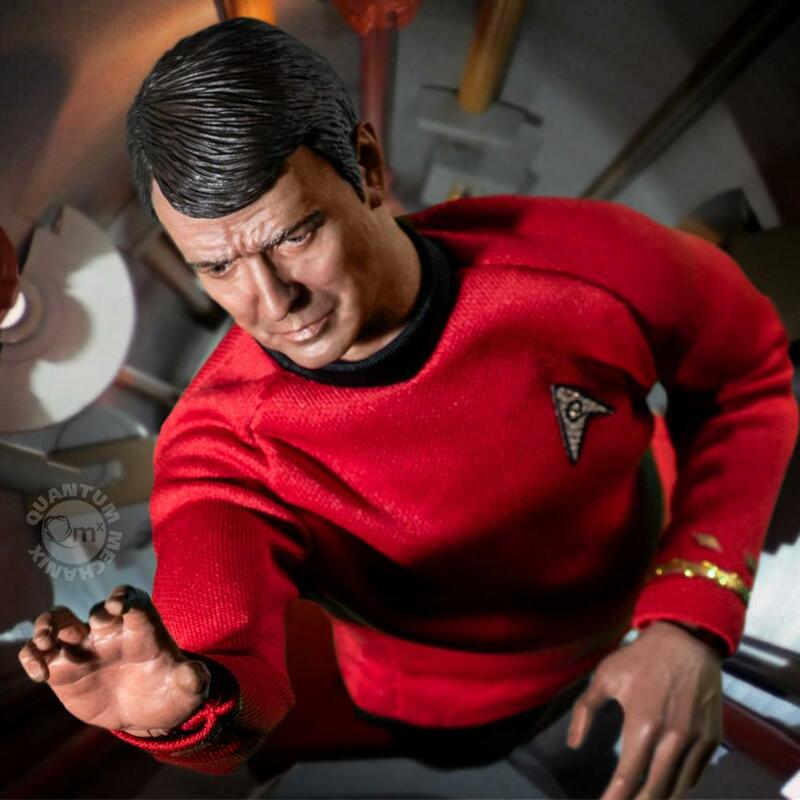 The product page is now live for their new Star Trek: The Original Series – Montgomery Scott 1/6 Scale Figure. 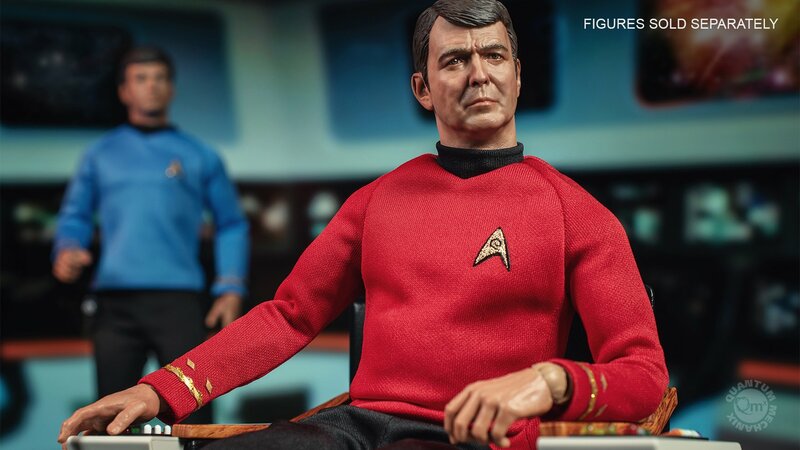 The figure will be available to pre-order a little later this year. 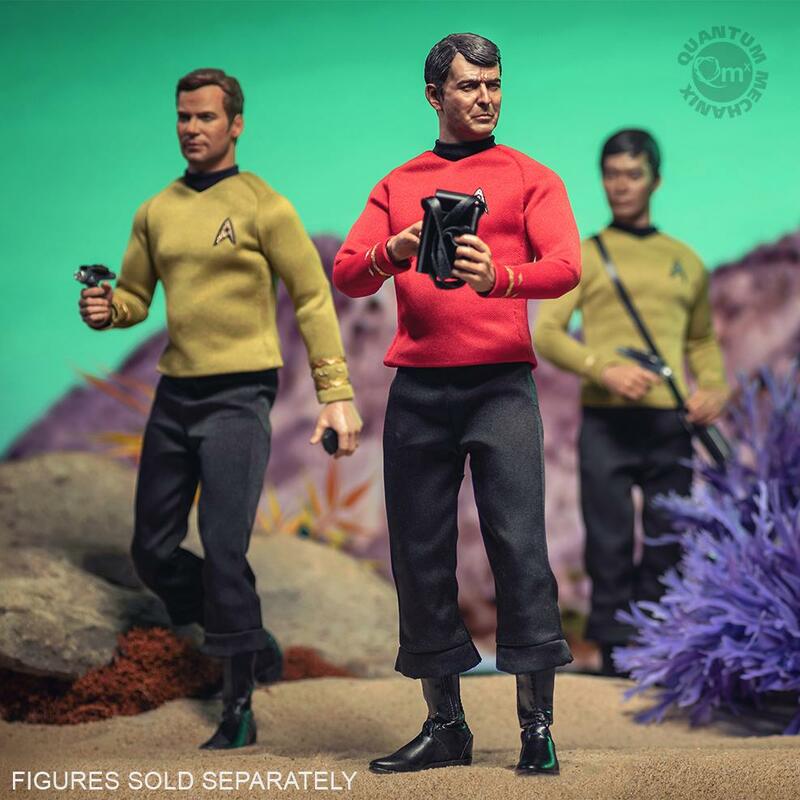 In their newsletter, they strongly hinted that Hikaru Sulu will follow soon after Scotty. 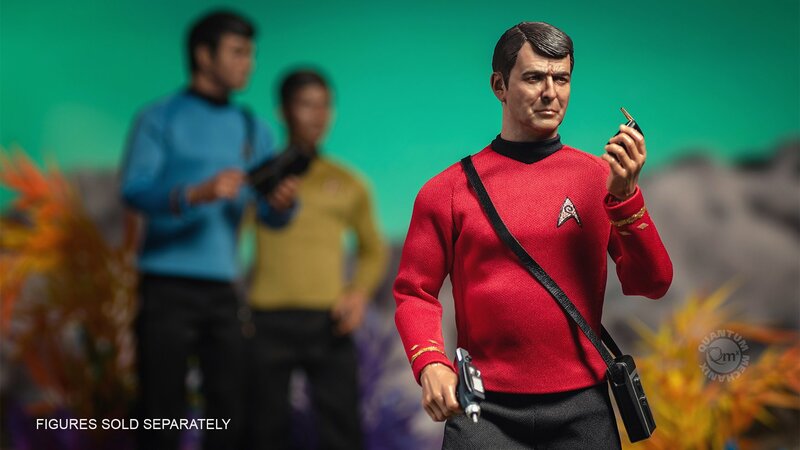 This 1/6 scale figure will stand about 12″ tall with over 30 points of articulation. 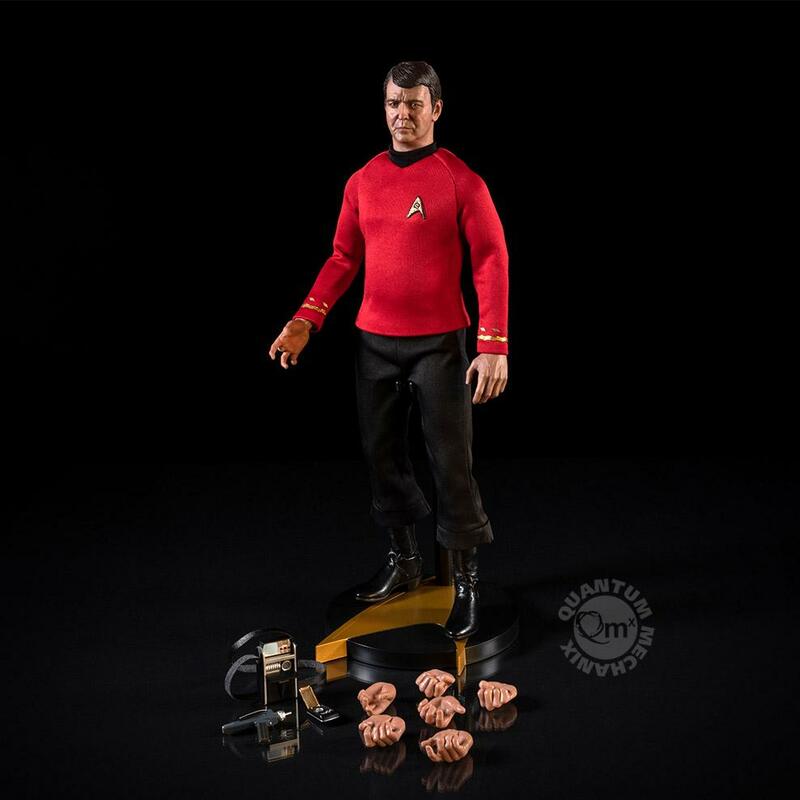 The figure includes multiple interchangeable hands, a Phaser Type I, a Phaser Type II, a Communicator, a Tricorder, and a specialized figure display stand. 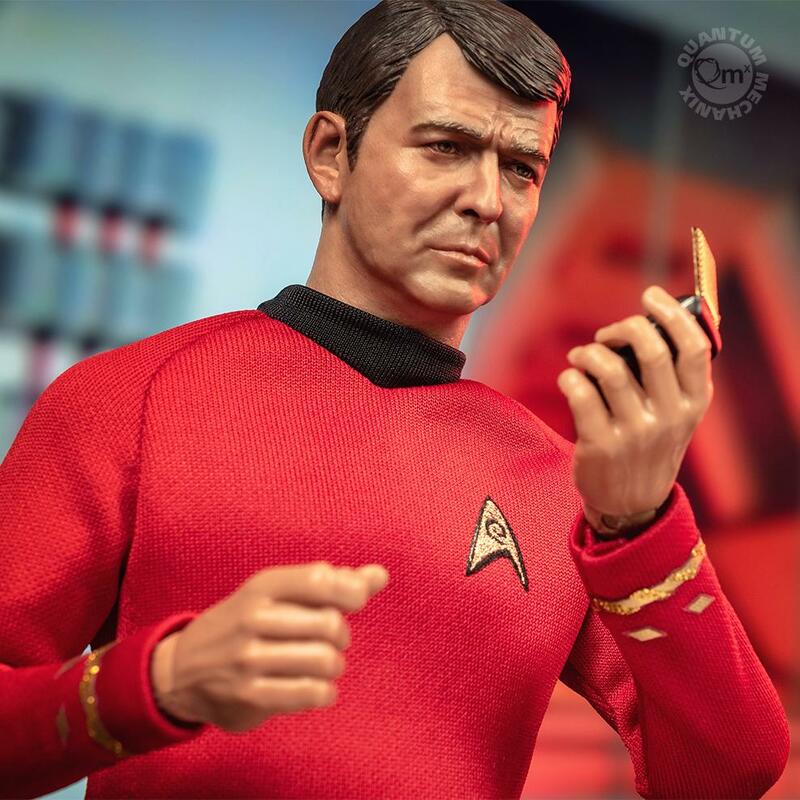 The Scotty 1/6 Scale Figure is priced at $179.95. The release date has not been revealed at this time. We’ll update when pre-orders go live. Read on for full details and the new photos. 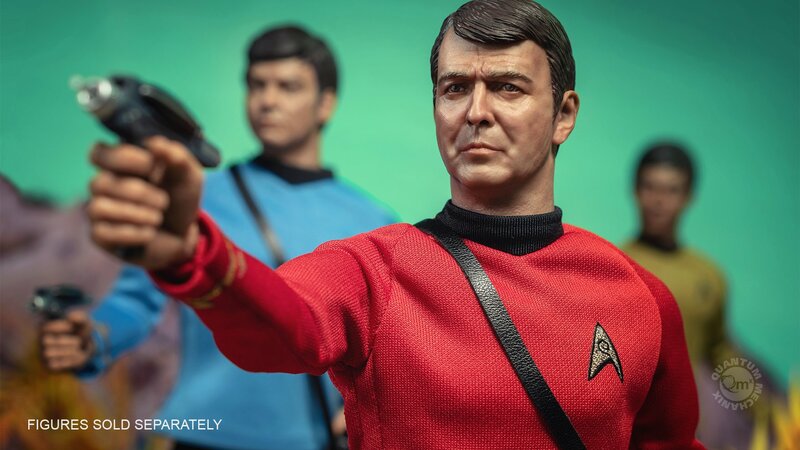 Nice to see Scotty finally getting some love! 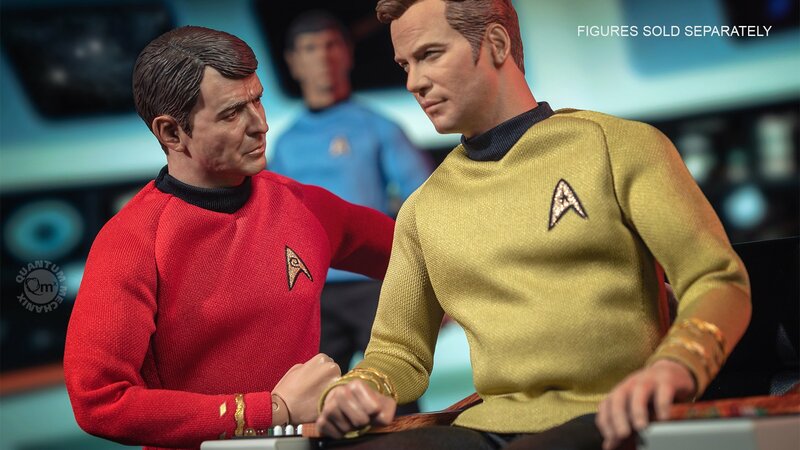 And that's so awesome that they gave him an alternate hand with a missing finger. It was mostly hidden on the show, but there are a few episodes where it's visible in some shots. 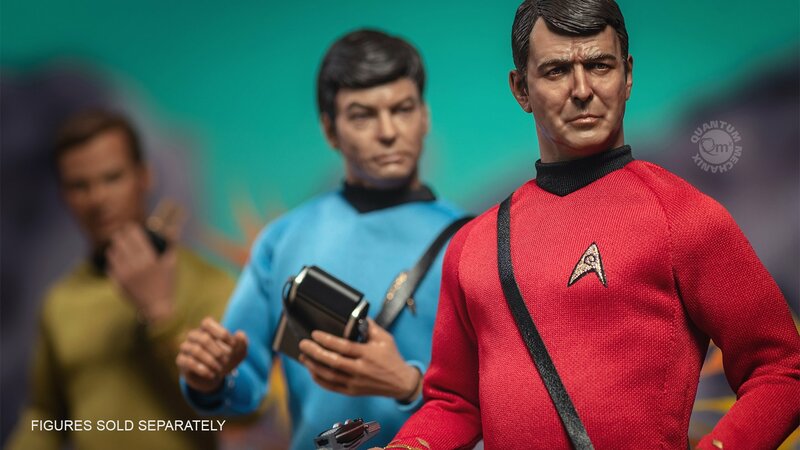 Where is the rest of my Original Series crew from Mezco? His face is too lumpy. Very nice, imo. Well done, QMX.